Are you looking for best breakfast dishes in London City?London restaurant offers a range of breakfast dishes to satiate tangling buds. If yes then here is a quick guide for you. A sort of an in-joke of a dish, considering the fact that pig is hardly eaten by most of the populace of India, however at the same time a perfect exemplification of British Asian fusion. 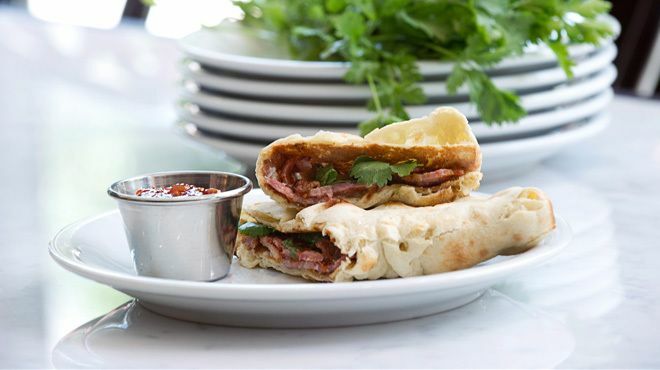 At Dishoom, guests are served with freshly prepared naan wrapping grilled back bacon, a slick of yoghurt, chilli-tomato chutney and sprigs of coriander. It is the addition of Indian food which add freshness to a heavy breakfast dish, the naan makes for simply the best pairing with slices of pork. To make the most of this dish, you can enjoy it masala chai. It is simply the perfect place to visit post or pre theatre visit. It is a New Zealand styled café located in Seven Dials, Covent Garden. The team of professionals who launch it include Kiwi Chef, Peter Gordon who is also behind the Marylebone fusion cuisine beacon Providers. The kitchen is simply the excellent when it comes to creating some of the finest and fresh breakfast alternatives. Thus, if you are looking for something eggy then do try bowl of Turkish eggs served here. Paoched and served with hot chili butter and whipped yoghurt, it is simply fabulous. The freshly prepared waffle is made using a soft rice batter, and topped with pecans of extra crunch. However, the real crunch is because of the buttermilk fried chicken – two complete dark meat pieces (a leg and a thigh) coveted in spiced southern flavours comprising garlic salt, cayenne and paprika. It is deep fried till the chicken is properly cooked. So, visit any of the above slated restaurants in London for great breakfast.